Who didn’t watch The Land Before Time when they were a kid? I know I did. So when Dada Life announced they were bringing Dada Land Before Time to Red Rocks next May, I almost lost it. Not only is seeing Dada Life one hell of a party, but Dada Land is a treat unto itself. 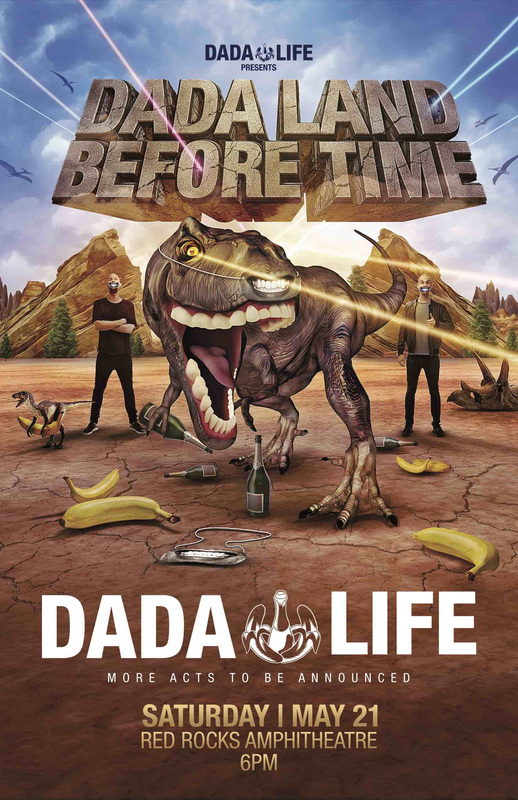 While no other acts have been announced with them, Dada Life themselves will absolutely put on an amazing show at a venue that seems to be in a land before time. You can pre-order your tickets for Dada Land Before Time right here when they make their way to Red Rocks on May 21st, 2016. Don’t miss out!